Don't read notes, read patterns of sound! This unique sight reading course for treble voices in elementary and early middle school does just that! 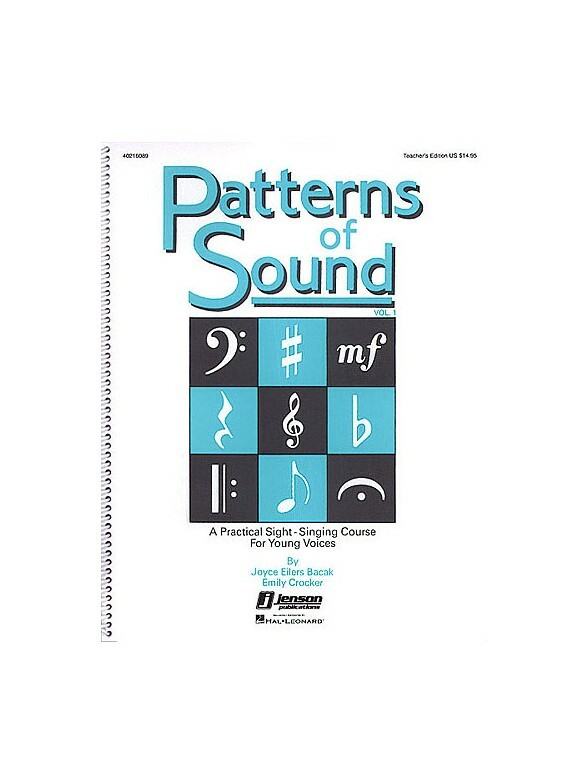 PATTERNS OF SOUND uses excellent voice leading, careful sequencing and musically interesting exercises that can be combined to strengthen part singing, pitch relationships and to develop rhythmic independence. Volume 1 starts from square one, assuming no previous training, with exercises that are so carefully sequenced that the students are quickly singing four-measure phrases and eight measure songs in two parts and finding it easy! Students are introduced to notes, rests, meter, pitch and unison/2-part songs in Vol. 1, and continue in Vol. 2 with dotted rhythms & syncopation, keys & key changes and more 2-part songs. Use it every day and watch your students' confidence level grow!